I mentioned a few weeks ago that I am not good at eating breakfast. When I have these bars on hand, eating breakfast is not a problem. I simply love them! I don’t know what it is about oats, but I have always loved items with oats in the ingredient list. I love these bars for breakfast, but once they are made I might eat one anytime of the day. They are great for an afternoon snack or even for a dessert in the evening when you want something sweet but not overly sweet. These bars are great with a good cup of coffee. 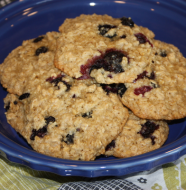 Just writing about these makes me want to go whip up a batch, so I can enjoy them in the morning. One of the great things about these bars is how the sour cream mixture bakes up to form the filling layer. I don’t know how to describe the texture, but it is delicious. It is a soft, (but not too soft), sweet (but not too sweet) deliciousness surrounded by a soft oatmeal cookie like concoction. (As my husband is fond of saying, “these are good enough to make you swallow your tongue!”) MMMMMMMM! You really should try these this weekend. 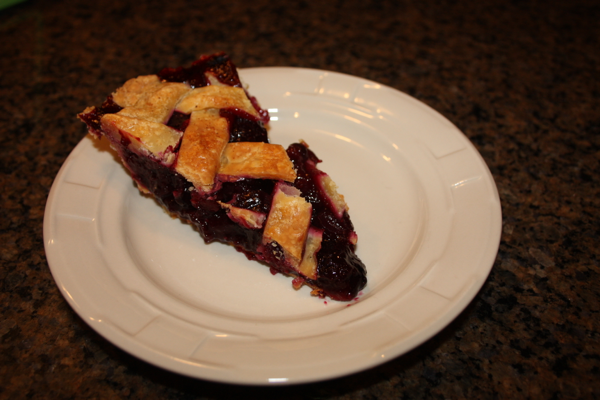 The flavors are a great step into the fall season that is quickly approaching. Combine flour, oats, brown sugar, salt, baking soda, and cinnamon in a medium bowl and stir with a whisk. Combine butter and orange juice together and pour over oat mixture, stirring until combined. (The mixture will be crumbly.) 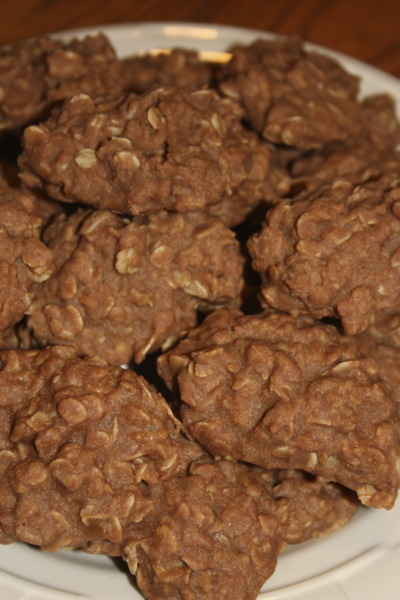 Set aside 1/2 cup of oat mixture to use as topping. 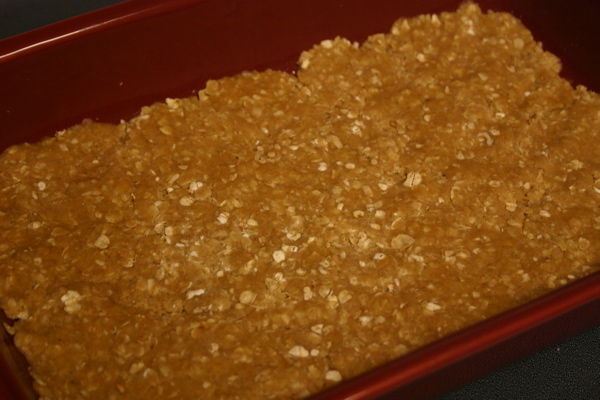 Press remaining oat mixture into the bottom of an 11X7 baking dish coated with cooking spray. Bake for 40 minutes or until the edges are golden. Let cool before cutting. (If you can resist.) Enjoy with a nice ice cold glass of milk or hot cup of coffee. Crust evenly distributed and pressed in bottom of baking pan. 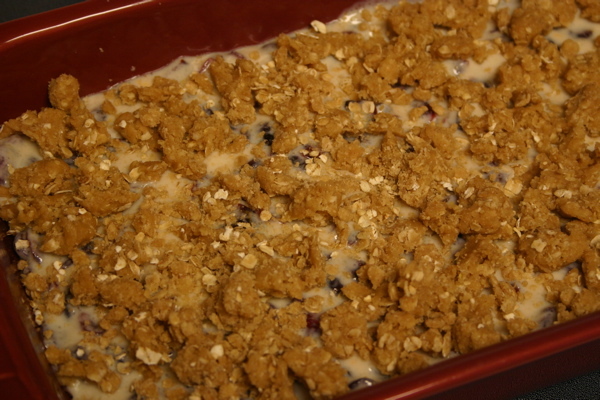 Crumble reserved topping over filling. 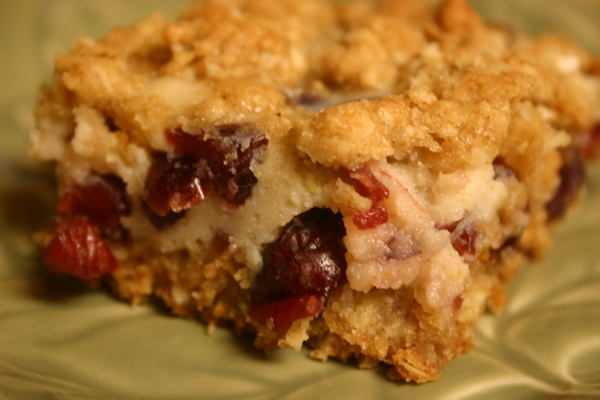 2 Comments on "Cranberry-Oatmeal Bars"
I made these yesterday afternoon….baking them made my house smelled great! My husband (who usually doesn’t like this type of stuff) said “Wow, these are really good.” We let them cool a little and ate them pretty warm out of the oven. Then we put them in the fridge overnight (since they had eggs and sour cream in them). We tried them cold but prefer them warm. This was no problem since 20 seconds in the microwave fixes that. 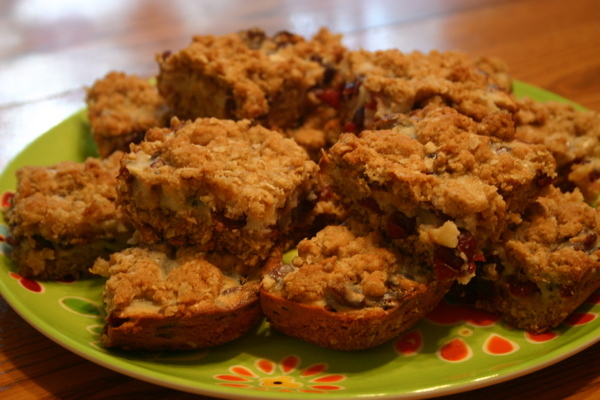 Also I used “Crasins” instead of “Cranberries”–a little sweeter! Dinah, how do you usually eat them–cold or warm? Just curious and thanks for another good recipe! I check your blog regularly. I have added oranges to my shopping list so that I can make these. They look delicious. I made your granola yesterday. 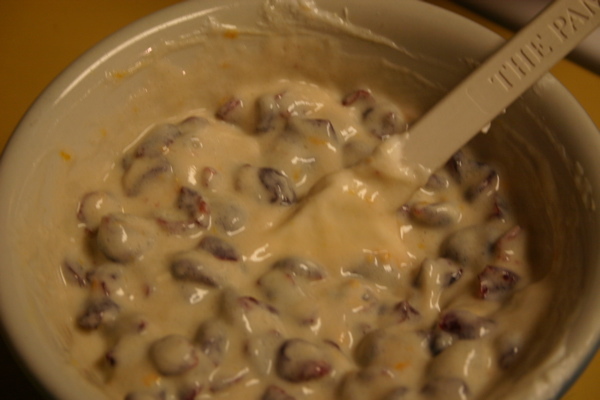 I had a bowl this morning with craisins, a little flaked coconut and milk. Thanks for all of the yummy recipes.